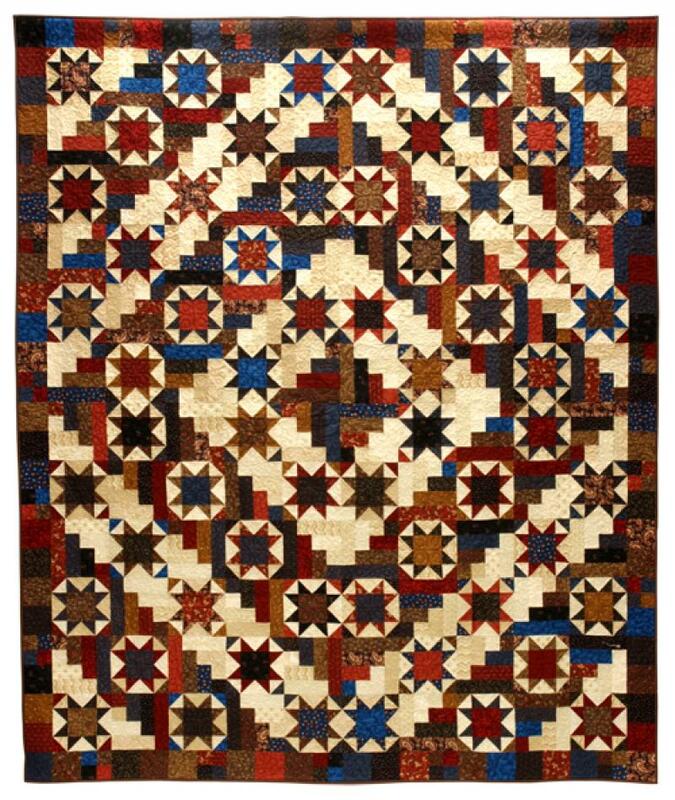 72" X 88"or 88" x 104"
This great star quilt just seems to radiate sparkle and light. The pattern gives a choice of two different quilt sizes. The photo shows the 88" x 104" quilt. You will need 1/2 yard or 5/8 yard each of 20 assorted Dark prints selected from 3 or 4 color families, depending on which size you make. Try to keep these fairly close in value. Also, keep in mind that Dark is relative. Your Dark prints could be pastels or brights! You'll also need 3/8 yard or 1/2 yard each of 10 assorted background fabrics. Keep your Background prints fairly close in value (If you prefer, you can use one background fabric). Optional instructions are also included for cutting from your stash. Recommended notions: 2" half-square triangle paper.